This small town is located in the northern part of the Niederwald (copse forest), and is the ideal place for visitors who would enjoy the symbiosis of the Taunus mountains, the river valley and the vineyards in a quieter environment than Ruedesheim. Beautiful places such as the Niederwald with its Hunting Castle, the Eagle Vantage Point, the famous Germania Monument and its amazing view, the Magic Cave, ruined castles and cablecars to Ruedesheim and Assmannshausen, can be reached through its wonderful hiking routes. Going downhill from Aulhausen through the Hoellenbachtal (a stream valley) the visitors reach the neighbour town of Assmannshausen and going north, the wild romantic Taunus mountains. 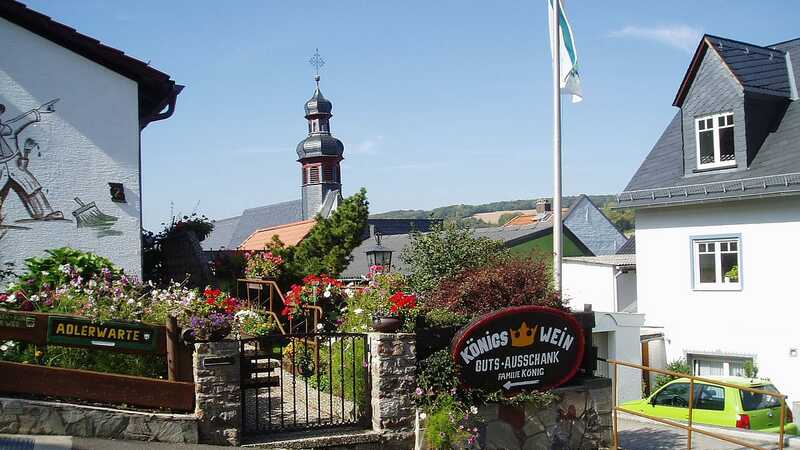 The former pottery settlement of "Ulenhusen" is also a wine-growing community , where noble riesling and pinot-noir wines grow and where visitors enjoy the unique friendliness of its people in the wineries, taverns and guesthouses. Aulhausen as well as Assmannshausen is also a town belonging to the Ruedesheim municipality, but very independent in its activities and festivities. To the best known ones are the Carnival with its street parade; during the summer time,the peasants' festival, a dialect theater festival and much more.